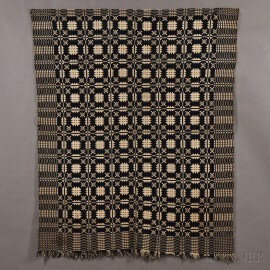 Woven Blue and White Wool and Cotton Coverlet, America, 19th century, two-piece, double weave coverlet in a geometric snowflake pattern, fringed on one end, (toning, minor stains, repairs), 82 x 66 in. 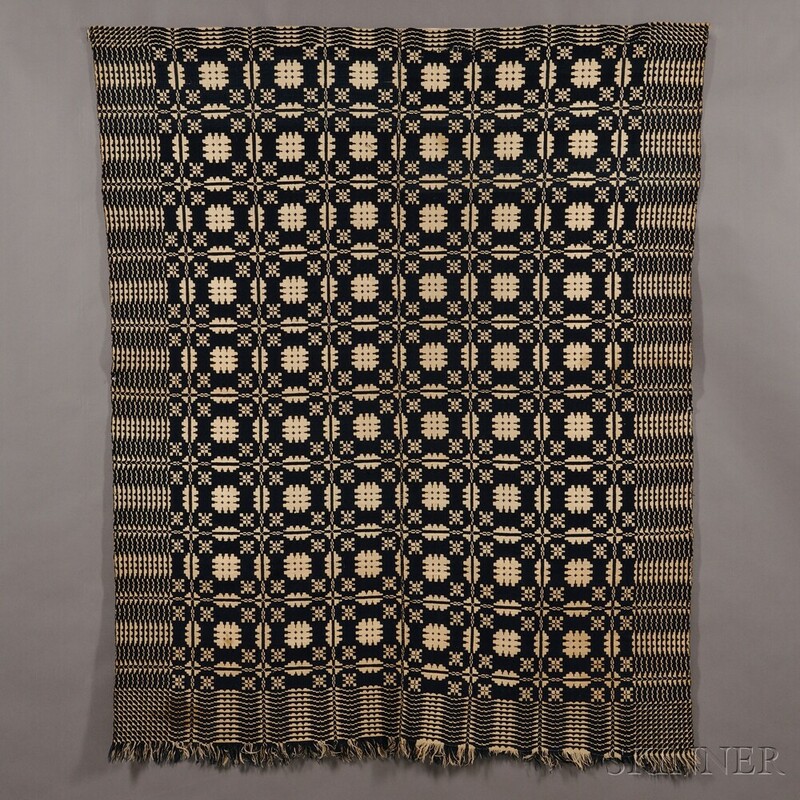 About one half of one panel is more heavily toned on the light side, a few patches of lightly stained cotton, a few unobtrusive repaired dark blue wool areas on the unfringed end on the dark side, one is a 1/12 in. long repaired tear.